Ever since the kiddos were born, Mommy has taken them to the health club every Friday. 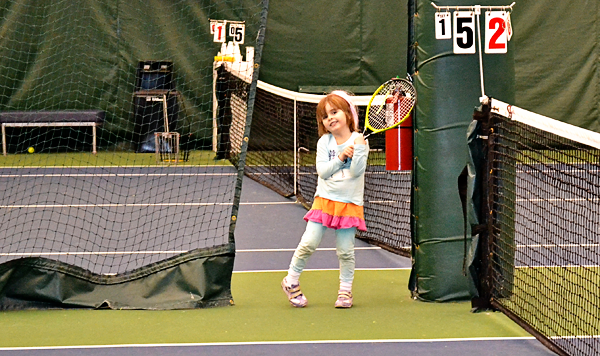 Mommy plays tennis while kiddos hang out in the play room. It's all good, they love the play room. Although...lately...they have been making waves about playing tennis themselves. 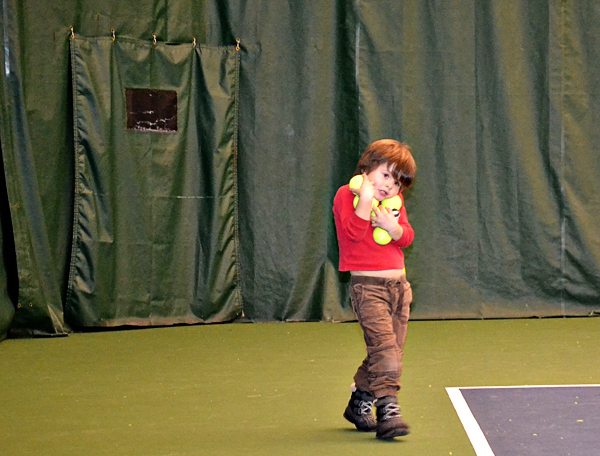 I took Miss Peach, Little Man, and two of their friends from school to a tennis lesson. Anyway...Coach M has the patience of a Saint, and is really good at herding cats. Like I'm super psyched at how AWESOME her form is on this over head! Let me go on record by saying...I did NOT buy this item for her. So now...every Wednesday...after school...it's a half hour of pandemonium. Maybe you just need to take off his snowboots while he plays :) I want J to play tennis, but he's not that into it... yet. I LOVE tennis, but haven't played since I had kids. 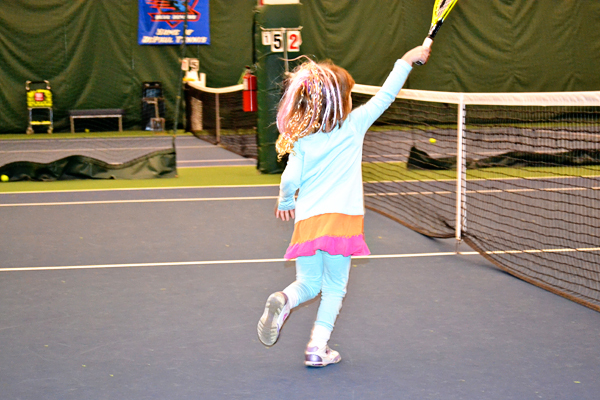 Getting back into tennis is on my "in a couple years when things settle down a bit with the kiddos" list. Your post makes me wonder when I should start my kids with some lessons. Lady Ga Ga's overhead form is quite impressive. YOUR DAUGHTER IS SO AWESOME!! I love her flair & that you let her have it! I am now suffering from an Over Dose of Cuteness !! They are just do damned cute, look at those noses !! those eyes ! and Miss Peach brought a bit of personality to the often boring look of Tennis Outfits, I like it ! 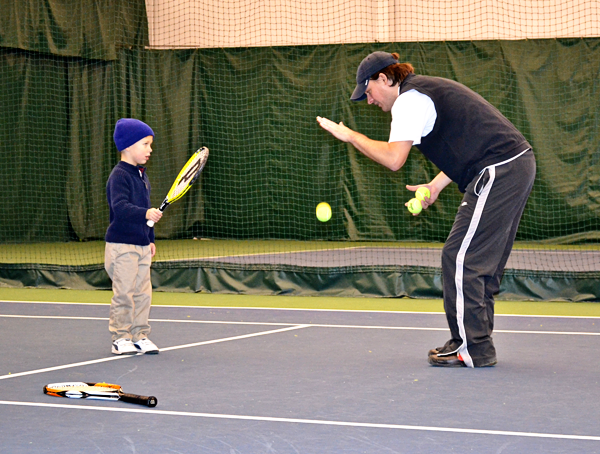 The ball boy is where many a great Tennis player began ..